Back when we lived in New York State there was a family close by that raised Alpacas and ironically there was a connection or two. Jeanne is an RN, like me, but her mother was the secretary for the man who was my Dentist for eons. We visited her Alpacas and fell in love. Dan had a friend, his manager really, who raised Alpacas out here in Washington. 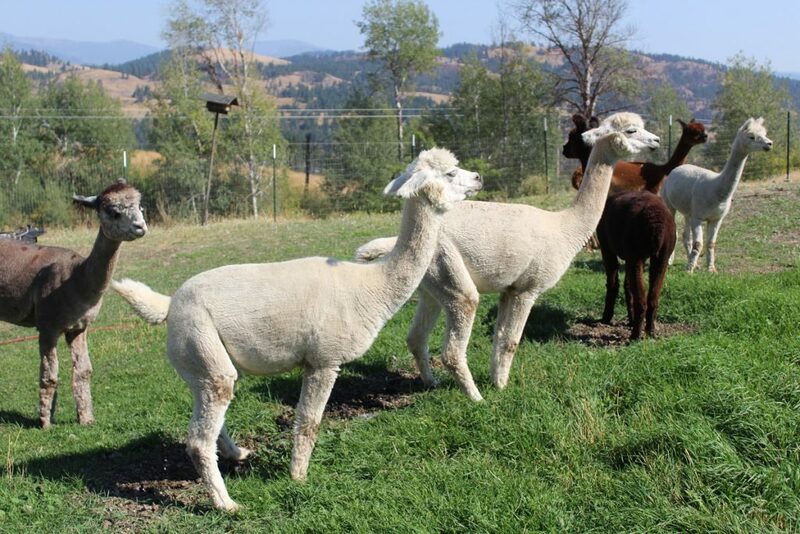 In fact we bought our first Alpacas from them before we even moved here. And that is when the trouble began……………………….. The trouble with Alpacas is that “addictive” quality. They are so gosh darn cute that they are like potato chips, you can’t have just one! The truth is Alpacas are adorable for many reasons. Native to Peru and the Andean High Plateau’s , Alpacas were prized by the Inca’s for their fleece for warm clothing, their meat for food and their leather for boots etc. After Spain invaded and conquered the Inca’s, Alpaca’s drifted almost until extinction. Fortunately, there was a turn around and Alpaca’s have again attained the predominant status they had centuries ago. Nowadays they are prized for the incredible cloud like softness of their fleece. Pictures can’t do justice to their fleece. When you bury your hands into an Alpaca, it is like nothing you have experienced before. Nothing…..compares….nothing. Yes, we raise them for their fleece which is very valuable and rather pricey. 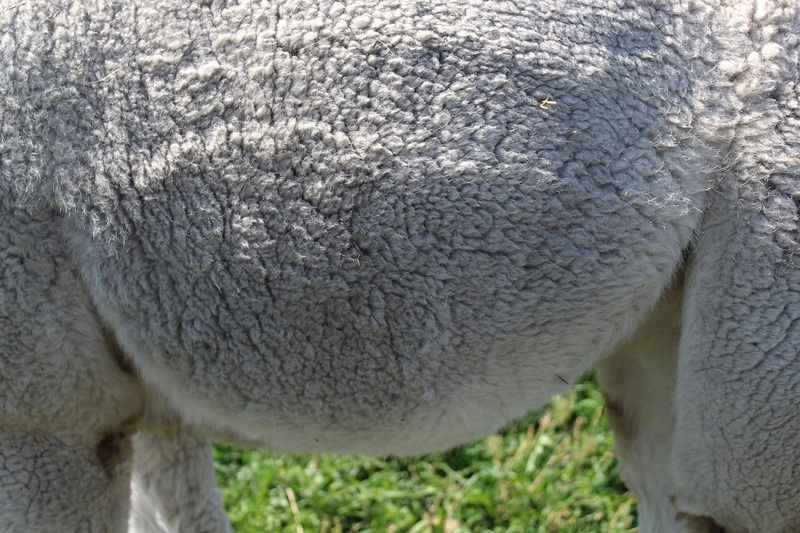 But unlike sheep’s wool, Alpaca is not scratchy or itchy or rough to your skin. Alpaca feels like you are wearing a cloud. 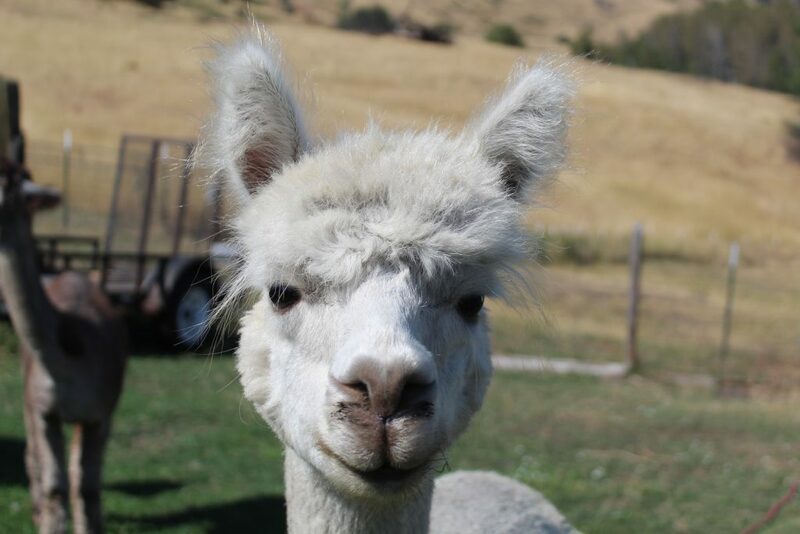 Alpaca fleece does not contain lanolin like sheep do so the odor of wet wool is just not present. 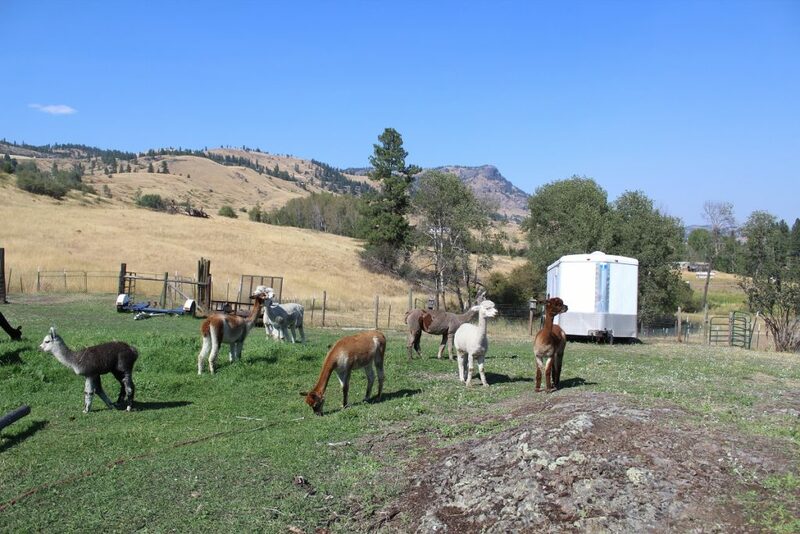 We “shear” or harvest our Alpacas once a year in the Spring before it gets too hot for their winter coats. Having them sheared professionally is quite expensive but worth the cost to get the most out of their fleece. We send the fleece off to be processed at a fiber mill that specializes in Alpacas. We use Spring Harvest Fiber Mill in Sunnyside, WA and have been so pleased with the results. Our fleeces are washed, carded and spun into soft as silk yarn which we then either sell or make into hats, mittens, sweaters etc to be sold. Alpaca gestation is about 11 months, so when the girls are breed in July they are ready to pop by June the following year. Depending on where you live it is important to be mindful of the weather in your State. We had 3 Cria born this past June and all are doing well. But for whatever reason, some of our girls were bred last October making them due in September which is pretty darn late to be able to thrive up here in the cold. They need to have a good warm coat on by winter time so this year I will have sweaters and blankets ready for the new Crias. The Dams give birth to single babies. Twin births are not usually successful. The Dam’s nurse their young for at least 6-8 months until they are bred again and need to conserve their energy in producing a new healthy Cria. 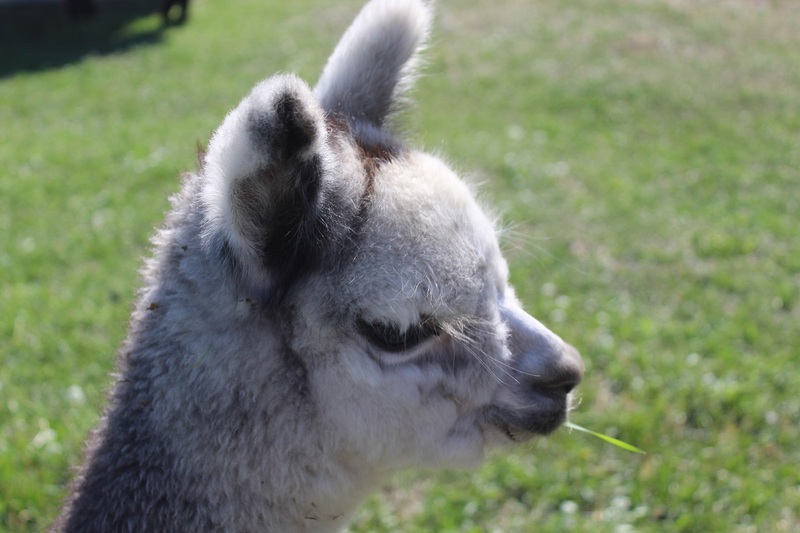 Alpacas can be picky eaters loving fresh green grass shoots. After that they LOVE second cut Orchard Grass. But any stems found in their feed will be left behind. Unlike Horses the Alpacas enjoy the tender leaves and leave the rest behind ( pun intended). Oh…the heck with all the lecture and history. Take a look at the pictures and you can see why we raise these lovely creatures! Meet Halaya Rose. A rather large Rose Gray with dark spots and beautiful feathery ears! This is Crack of Dawn or “Dawnie.” She loves to eat and I never have to tell her twice that her dinner is served! Dawn is getting rather ummm plump because her baby is due soon! We had 3 Crias born in June. Our tradition is to name each baby after something related to Astronomy. Fortunately we have much to choose from every year. 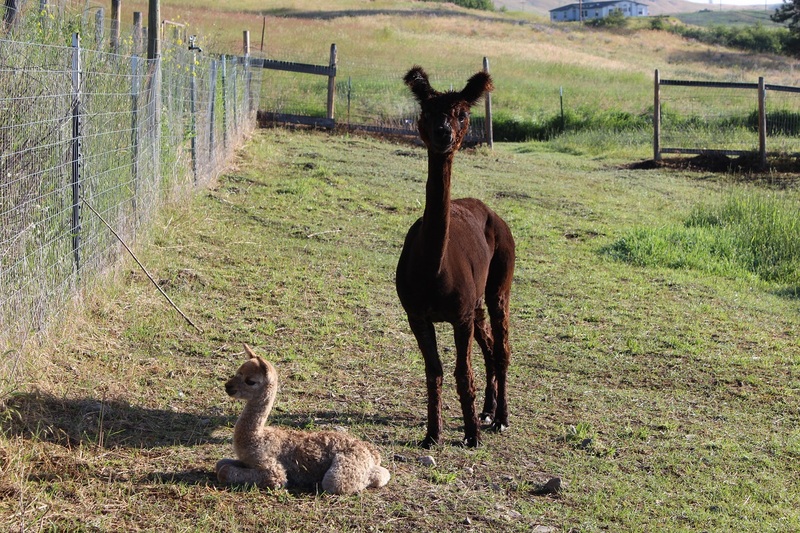 Summer Solstice was our first Cria this year. She was born a day after the Solstice. A shimmering Chocolate brown, she is both a rascal and timid. She weighed all of 14 pounds. Put on a little weight in 2 months, huh? Next came this amazingly gorgeous Grey girl who started out in pretty rough shape. She was big, all of 23 lbs and her Dam was a first time Mom. 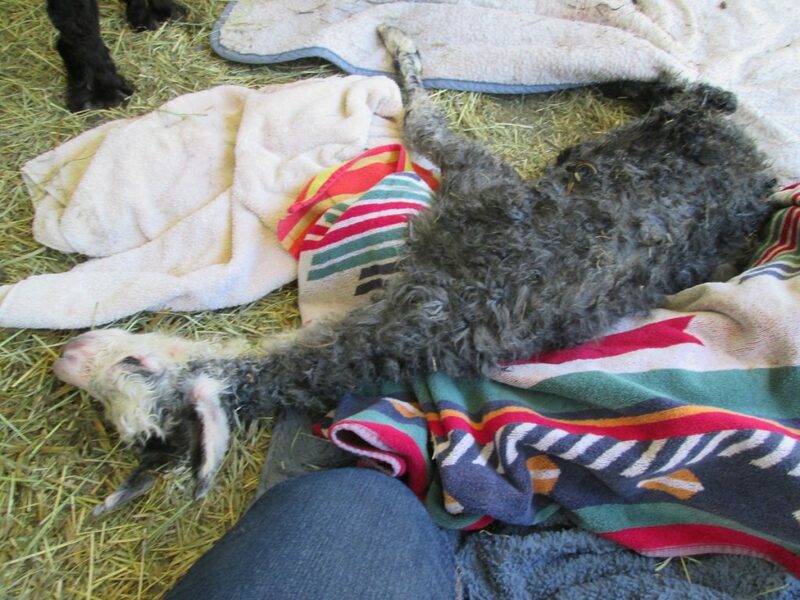 Little tyke had her nose out but her legs back inside and was wedged in pretty well. I had to go in and find her legs and help Blackbird with the birth. It was a pretty scary time. It took hours of watching and helping before we new she would be OK. Both Mom and I were exhausted but just look at the proud smile on Blackbirds face! This was poor little Aurora Borealis after her rough birth. Had me saying my prayers! And this is her today! Rambunctious and just full of it as she runs and pronks in the pasture! A beauty for sure! Strutting around with that blade of grass in her mouth! And last but not least and when we least expected it, out popped Stormy! The last Thunder/Rain storm we had up here was June 28th and when we came home from being gone all day, we were greeted by this site. A beautiful little light Fawn girl. It was a heck of a storm, so we thought Stormy was so appropriate for this wee one. Look at how protective her mother appears. 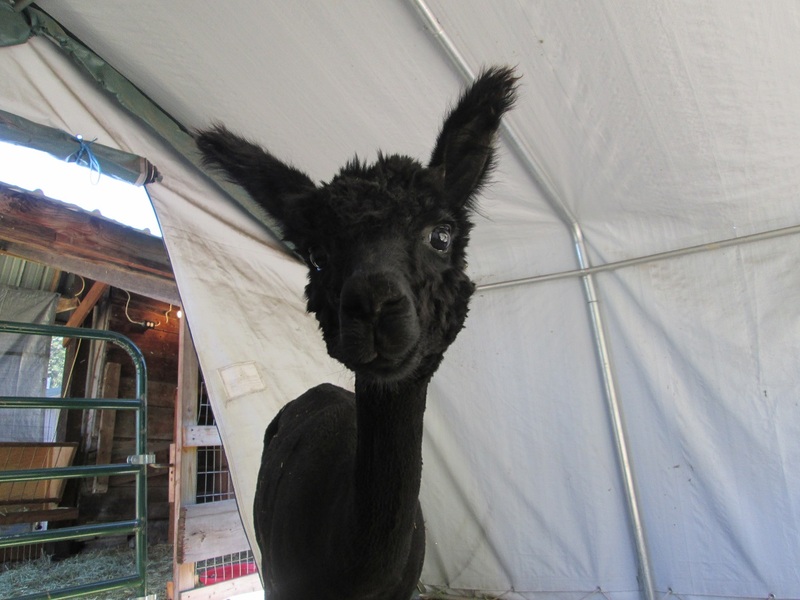 Stormy has thrived and grown into this sweet, sometimes shy and sometimes the ringleader of the Crias. Stormy today. Doesn’t she look like the most feminine little darlin’? Never fear, she is one tough little nugget! Well now, here’s a fun and funny tidbit. Alpacas like to take care of business all in the same spot. Yeppers, they walk over and poop and pee in one area. Not like horses or cattle who walk and drop, the Alpaca are mindful of where they step. Sometimes 2-3 of them will all go at the same time. Especially the little ones. Believe it or not it is so cute to watch them assume the stance and have a go at it! I like to think our girls are happy living up here in the mountains. I know I do what I can to keep them comfortable. In the extreme heat I keep a huge fan blowing and provides lots and lots of water. When it is simply unbearable, I hose them down with cold water which they just love. I mean, wouldn’t you love to live high in the mountains with a view of Mt. Elizabeth? 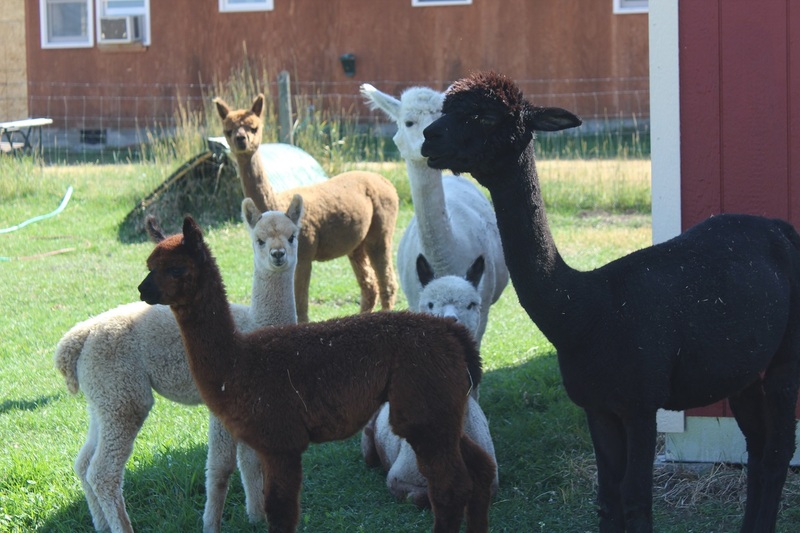 If you’d like to learn more about Alpacas, try researching them where you live and schedule a farm visit. 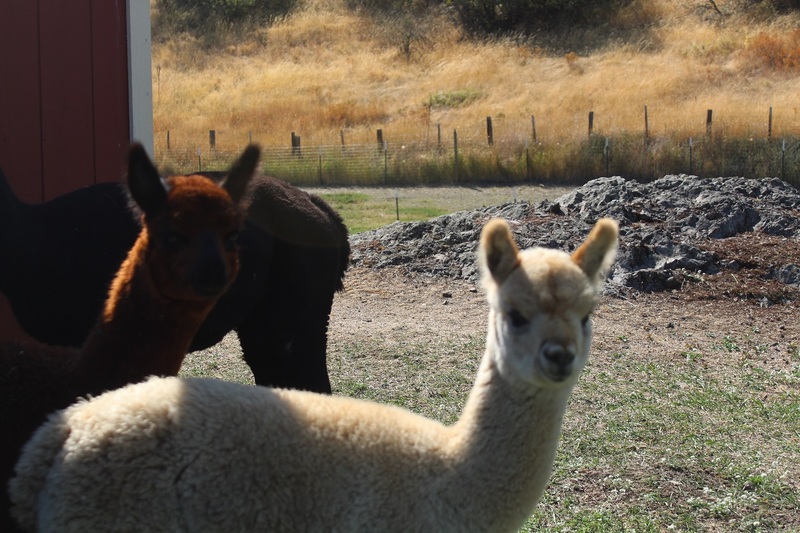 Alpaca farmers are usually just the nicest people and love to show off their herd to visitors! Thanks for stopping by Kettle Ridge Alpacas and The Journey Girl today! I truly love and appreciate all my friends. If you are ever out in my neck of the woods, give me a shout. 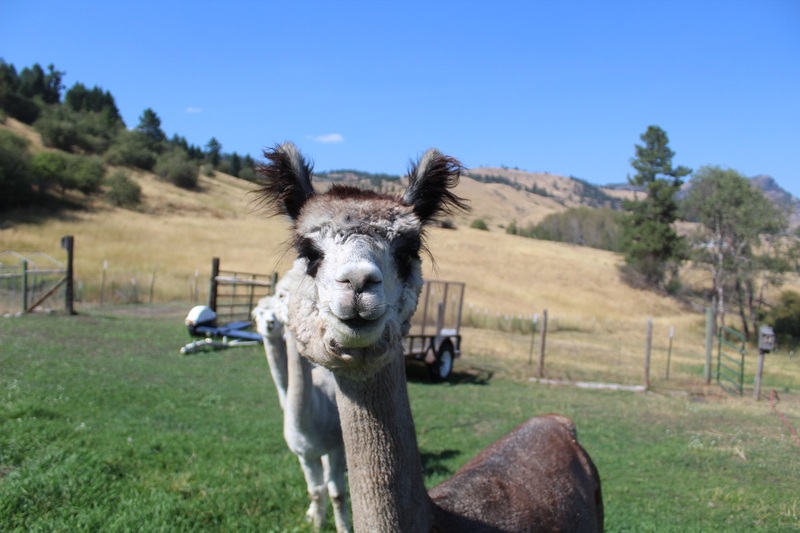 Alpaca up what I am doing and happily give you a tour! Wherever your journey leads you today I hope you are blessed with something warm and cuddly with big brown eyes! PS: Please stop by www.thejourneygirl.com amd leave me a message! I love hearing from you. Loved the story and only you can make pooping Alpacas sound cute! Nice job on this years crias! They all look pretty amazing! Did you stop at Sherri Hollinger’s place? She’s a love! 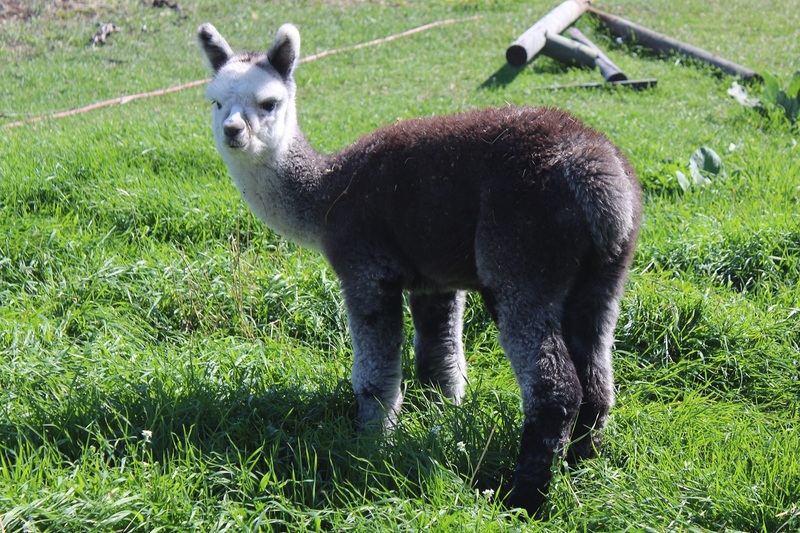 One of our females was bred to one of her males and we had a gorgeous cria last year. 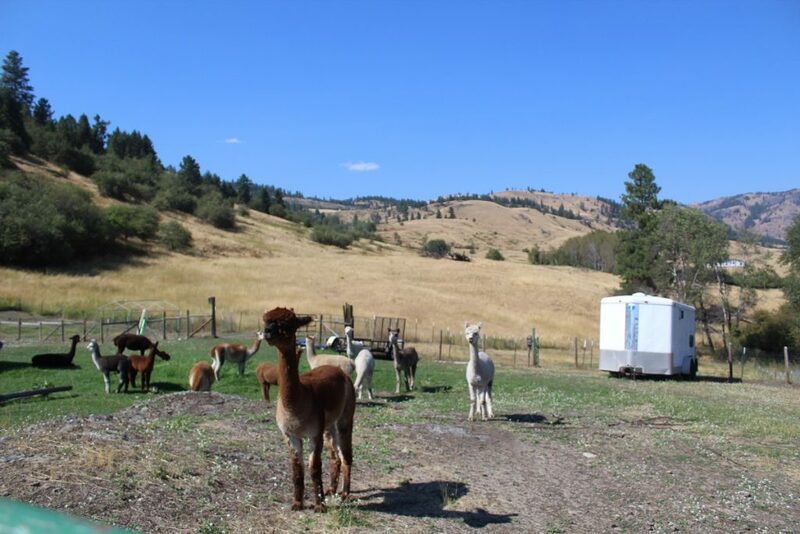 We call it an “Alpaca Farm,” but others call theirs Ranches. We have friends with Alpacas down in Newport area which is probably closer and easier to get to than we are. Alpacas are fun and work! I am so pleased you will follow my Blog! I am watching several Alpacas and Llama’s at my friends farm. very mean to two weaker ones, is this a common thing? It’s very upsetting as the two that are getting picked on are so scared and frightened.